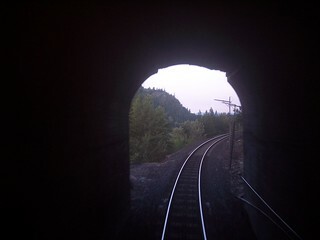 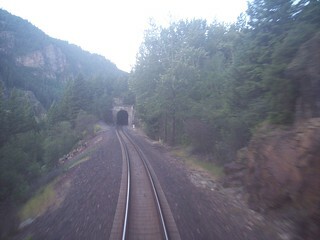 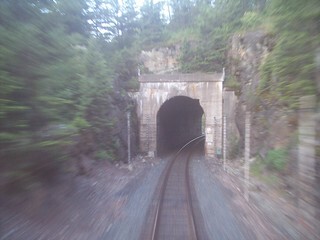 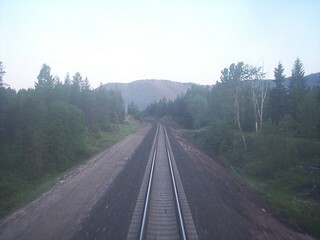 Riding through a tunnel between West Glacier and Whitefish. 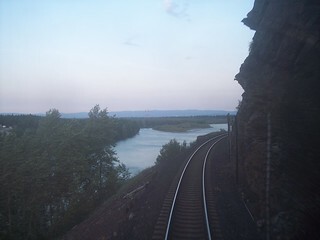 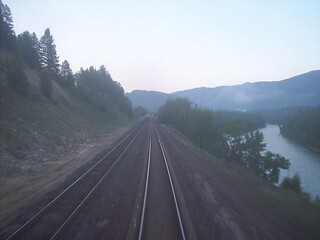 The Flathead River sits below us. 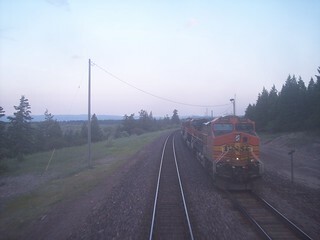 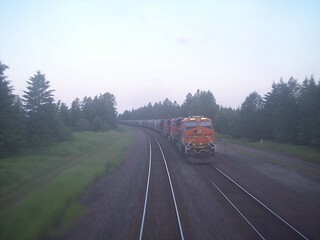 We pass a couple of BNSF freight trains. 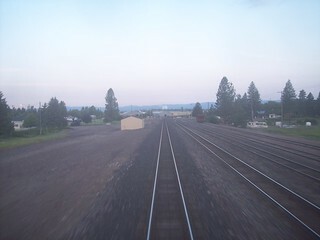 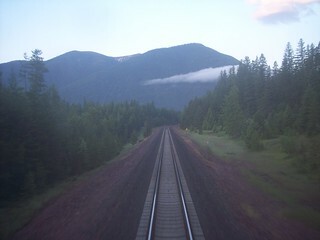 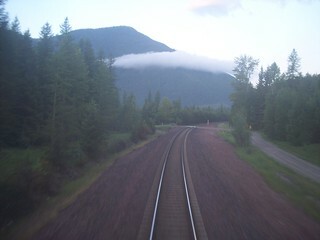 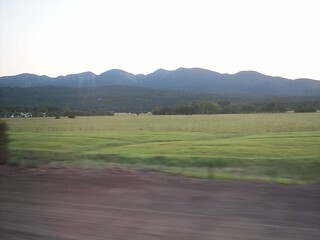 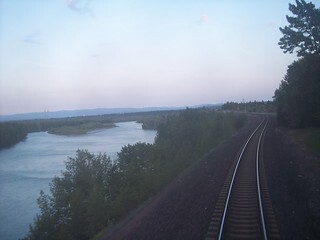 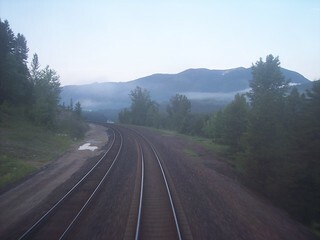 We pass through Columbia Falls on our way west to Whitefish.